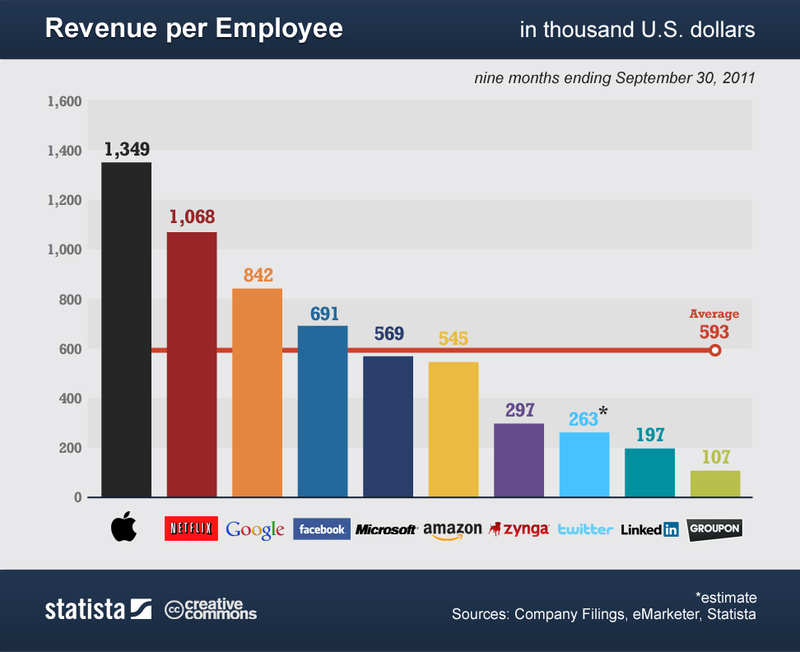 Revenues tech companies command are wildly disproportionate to the number of people they employ. 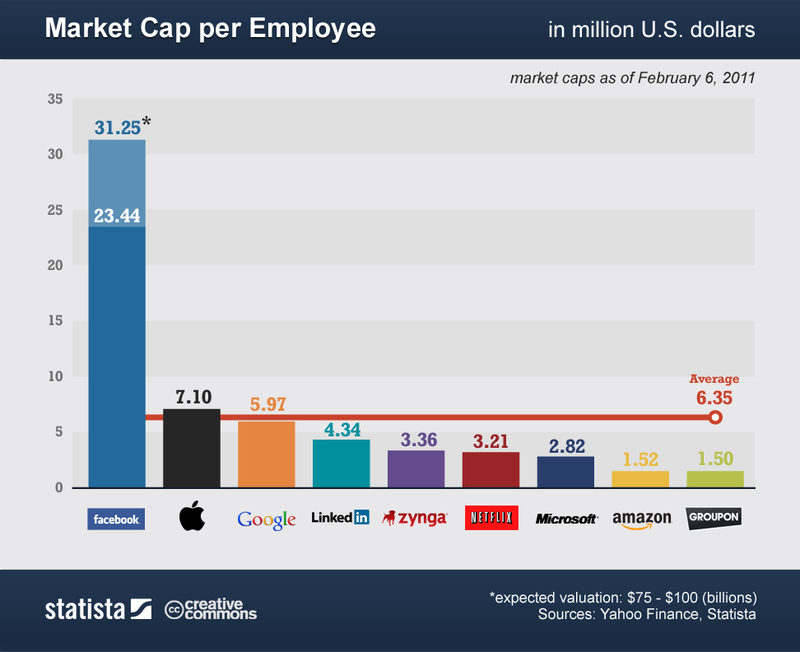 Facebook, which some have valued at $100 billion after filing for an IPO last week, employs a mere 3,000people. To set a perspective here, lets compare that with General Motors, which raised the biggest IPO in history in 2010. Its estimated market cap at the time of this writing is only $41.4 billion, and they employ a whopping 202,000 workers to create that value. 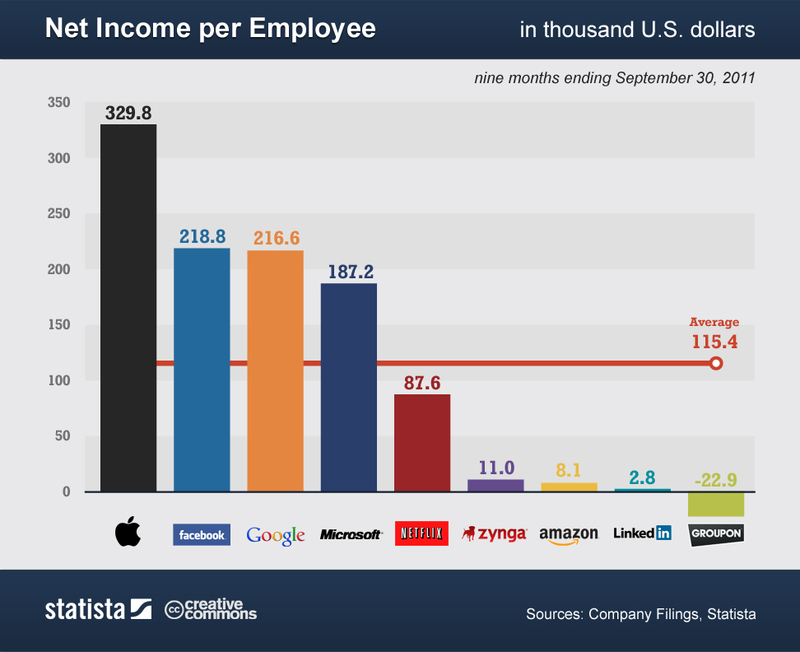 Following is a chart from Statista which shows tech companies maximizing their employee return.